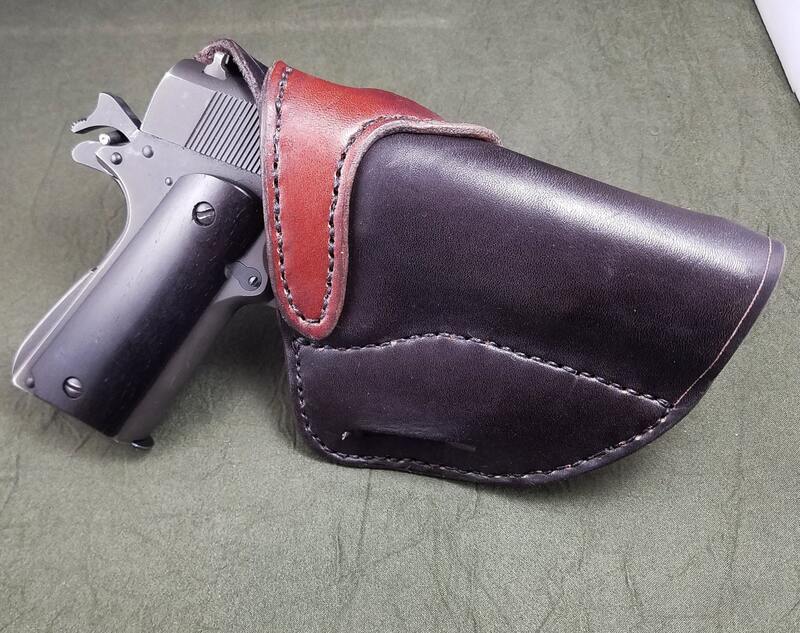 This listing is for a low-profile outside the waistband "avenger" style holster for a full size 1911. 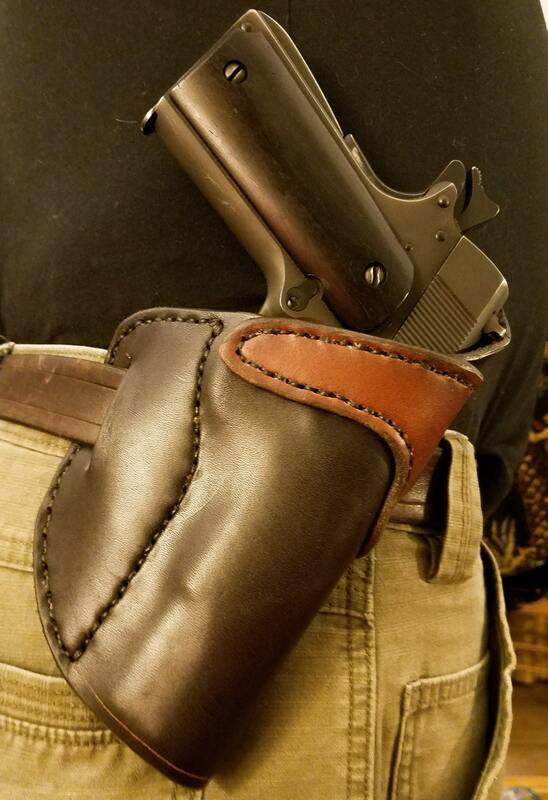 The holster is made out of 8-10 ounce Latigo cowhide and features a stitched on wrap around piece of Latigo that serves as reinforcement and the second belt loop. 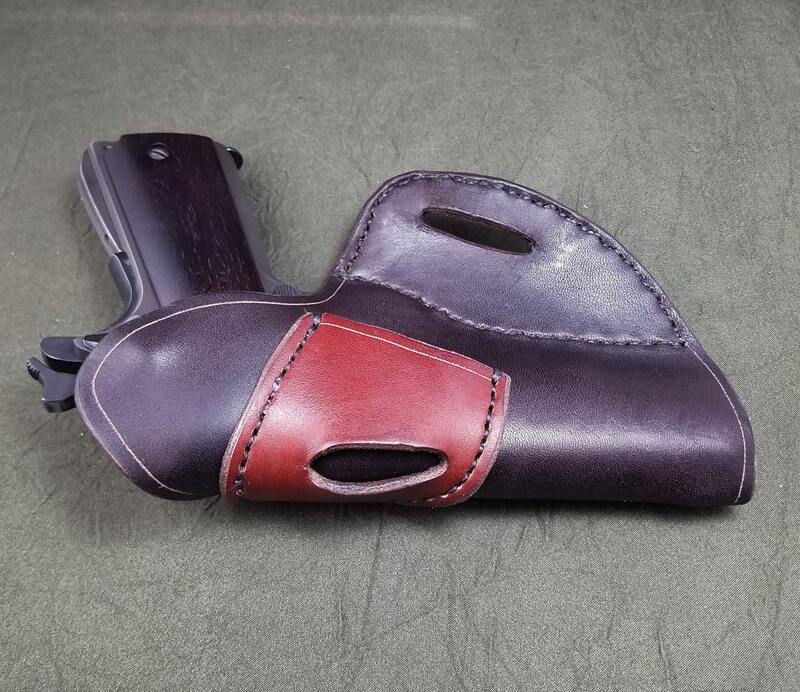 Each holster is handmade, and available in several colors. 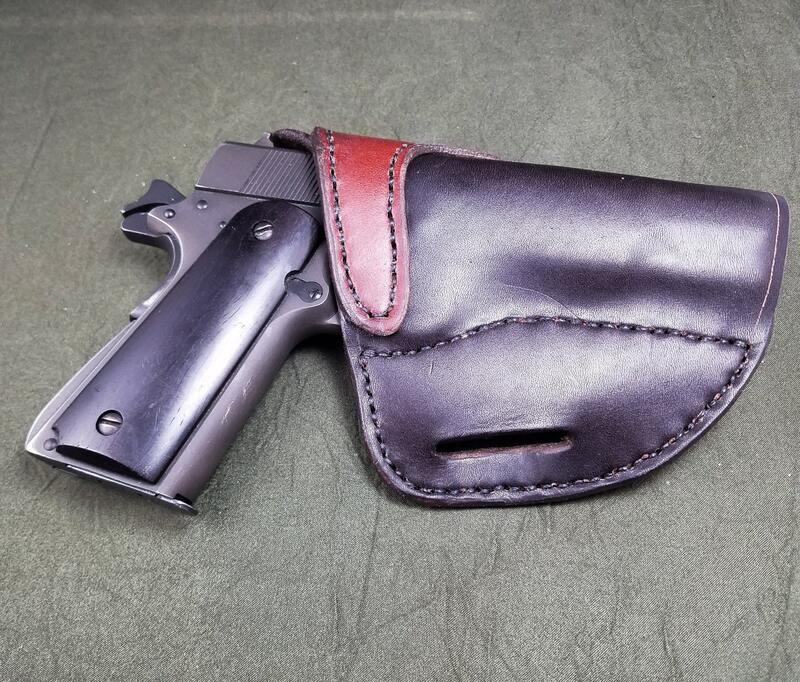 The main color option refers to the main body of the holster, whereas the secondary color refers to the belt loop.